I'm really surprised and happy. I think Biden rocks. Vice-President Biden has a nice ring. Eat it, Senator McCain. What a dope! 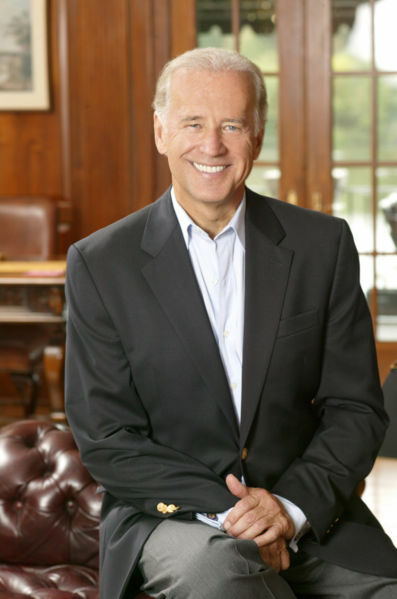 There is a reason Biden has never won the nomination. It is because he suffers from "foot in mouth syndrome". If Obama were smart, he would have chose a women. Clinton wouldn't have agreed to the nomination because she is looking at 2012 but another women would get the female votes. All the guilty white men who are going to vote for Obama have already been counted. If McCain is smart, he will chose a male who is a young (mid forties) and attractive to get the female vote. This will also quiet the age issue. Todd darling I must admit I don't know a great deal about Biden but if Obama picked him he must have a had a good and valid reason and that's good enough for me. This tells you how little Obama knows about politics and life in general. He just wants to be King. I'm surprised he didn't pick Oprah, another person I've come to loath. If he were smart, he would have waited till the last possible minute so he could have changed his mind. If he is for change, why choose someone from the old guard? McCain picked a women, which was absolutely brilliant. Now this is going to be a fun election. Either a Black President or a women Vice President.